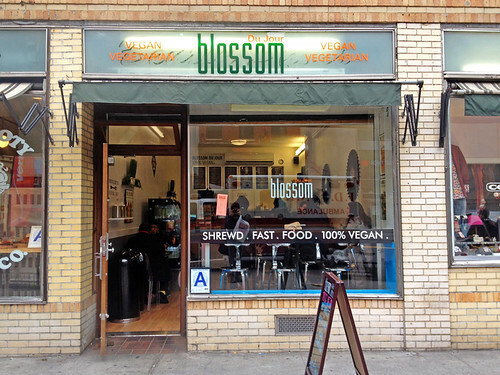 I can’t believe it has taken me this long to visit Blossom Du Jour – the smaller fast food spin-off of NYC’s famous vegan restaurant Blossom. I was already looking forward to trying their veggie burger before I arrived, but even moreso when I looked at the menu and saw that it is called “The Skyscraper”. Yum! This thing was indeed a towering delight. The bun was fresh and tasted delicious. Chewy, but not too thick. 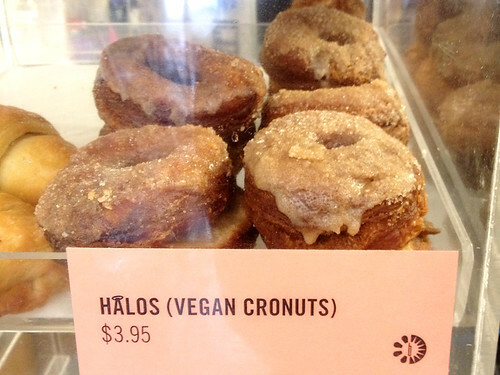 I’m guessing it was made at Blossom’s nearby bakery, where they make all kinds of mouth-watering vegan desserts (more on those in a minute!). 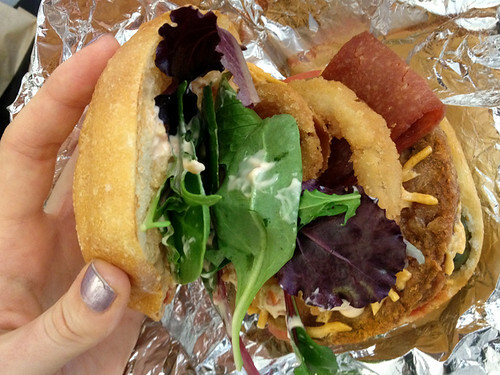 Topped with greens, tomato, pickles, vegan bacon, cheddar cheese (pretty sure it was daiya), fried onion rings, and “special sauce” – wow! What a mouthful. A tangy, tasty mouthful. I was in love with these toppings. 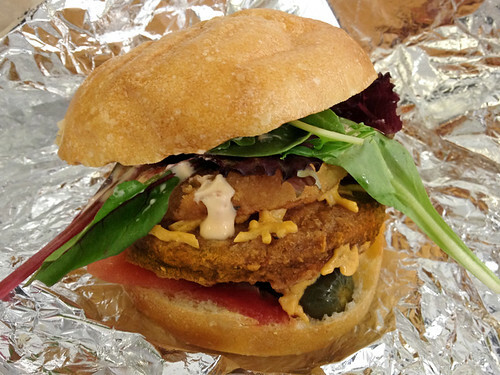 The patty almost got lost underneath everything else – which unfortunately was not such a bad thing, as I was disappointed to find that it seemed like a very average premade faux-meat patty. 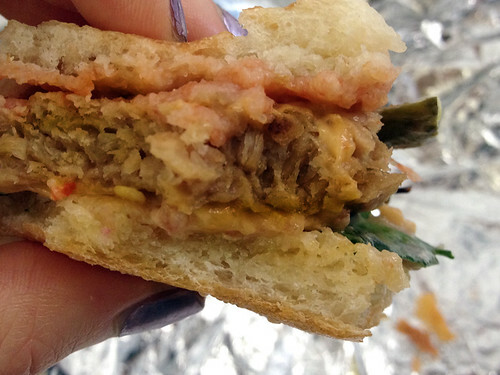 It was crispy outside, with that stringy, chewy faux-meat texture on the inside. It was the lighter kind of faux meat that I think is trying to imitate chicken more than beef, and the flavor was okay but just not anywhere near the caliber of the rest of the burger. It was rather dry as well, but luckily that was less noticeable with so many juicy toppings. Oh no! I passed up one of those Halos the other day and I just knew I'd live to regret it. definitely get one next time you are there! SO GOOD!